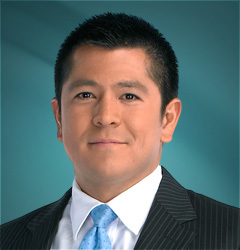 Carl Quintanilla currently (as of July 2011) the co-anchor of "Squawk Box," (M-F, 6-9 a.m. ET) with Joe Kernan and Becky Quick. According to CNBC, Quintanilla was an NBC News correspondent based in New York and Chicago who regularly on "Today" and "NBC Nightly News with Brian Williams." In 2005, he spent weeks in New Orleans as part of the "Nightly News" team coverage of Hurricane Katrina, for which he won a national Emmy Award, an RTNDA Edward R. Murrow award, and broadcast’s highest honor, the Peabody Award. Oh July 13, 2011, Carl Quintanilla hosed the excellent CNBC special "BMW: A Driving Obsession." 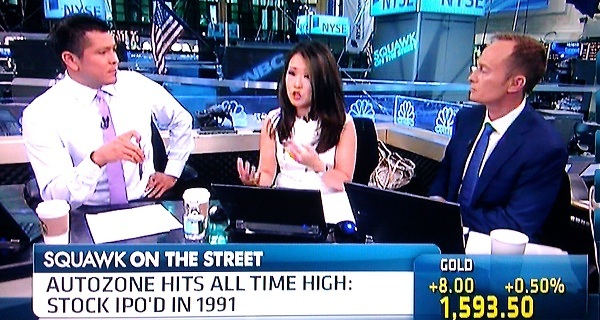 Prior to joining NBC, Quintanilla served as co-anchor for CNBC’s early-morning program, "Wake Up Call." He also spent six years as a reporter for the Wall Street Journal. Education: Carl Quintanilla attended the University of Colorado and received a Bachelor of Arts in Political Science in 1993. Age: Assuming Carl was 22 when he graduated college in 1993, he was born in 1971 which would make him 40 years old as of July 2011.